There are three ways to please lord Shani. They are conduct, thoughts and donation. It is beneficial to wear aqua or air element gemstones. It is also beneficial to chant Shani’s psalm. Lord Shani pleases very easily by chanting psalm. Shani’s psalm is used to get rid of problems in life. If one maintains clean conduct and chant psalm then he can get wonderful results. If one chant psalm then he can get rid of accidents and threat of life due to Shani. One should chant Shani’s psalm when he faces problems in every way of life. One can also chant Shani’s psalm when he doesn’t get his rights. It is also beneficial to chant psalm during Sade Sati or Dhayya. Everyone can chant Shani’s psalm. One should chant his psalm facing east or west side. It is extremely beneficial to chant Shani’s psalm in evening or midnight. One can use Rudraksha or Rakatchadan rosary to chant Shani’s psalm. Never keep Shani’s picture in the home. You should memorize him while chanting psalm. One should recall his idol or lord Shiva or lord Krishna before chanting psalm. Family man should avoid wearing black clothes while chanting psalm. However, they can wear white or sky color clothes. One can chant “Om Sham Shaneswaraye Namah”. One should chant this psalm in evening. Lord Shani never gets disappointed. One cannot face problem. One can chant “Om Pram Prim Prom Saha Shaneswaraye Namah”. It is extremely beneficial in Shani’ dasha. Rahu-Shani: The conjunction of Rahu-Shani creates this yoga. One faces ups-downs in life. One faces many problems in financial and domestic life. One suffers with hidden diseases. In these cases, do not wear black color clothes. Offer water to the peeple tree on Saturday morning. Put cow urine in bathing water. Shani-Moon: One becomes addictive of alcohol and drugs. One does crime. One also becomes victim of depression. In these cases, you can do fast on Monday. Drink milk and water on this day. Chant “Om Juhu Saha Mam Palay Palay” for 108 times. Donate medicines on Saturday. Sun-Shani: One gets less success even after doing hard work. One cannot get happiness from his father. One faces serious disorders in bones or muscles. In these cases, offer water to the Sun. Pour water to the peeple tree in evening. Eat jaggery after doing brush in the morning. Chant “Om Suryaputray Namah” for 108 times in evening. 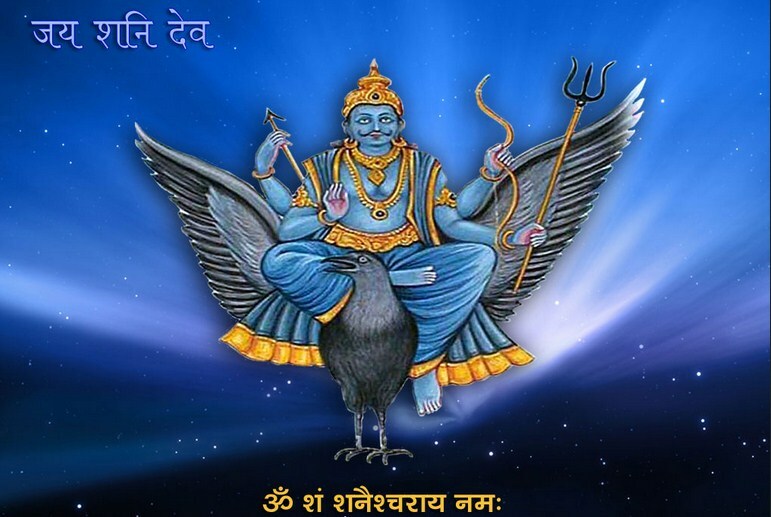 High Shani: This yoga occurs when Shani is high sign or in its sign. One gets boundless money, property and happiness. One reaches from bottom to the top. However, one should give respect to small people. Always use sweet speech. Do not eat sweets on Saturday. Use more light blue color. Shani-Venus: It is effective when Shani and Venus are together. If Shani has eye on Venus then this yoga would not be effective. If this yoga is in Libra or Taurus lagan then it is extremely beneficial. One gets pleasure state and boundless splendor. Regularly donate coins. Chant Shani Chalisa every morning-evening. Try to avoid taking debt.